Years ago, I walked into a Weight Watchers meeting, shy, self-conscious, and unsure of what to expect. After signing my agreement and going through what would become my weekly ritual, I sat down to read through the stack of literature they gave to me. I read through many ideas, insights, and testimonials. Yet it was one very small side note that caught my eye. There, in an offset lavender box, were familiar words that resonated with me. “The Four Steps for Solving Your Weight Loss Problem.” Can you guess what those four steps were? Create a plan to address the problem. Solve the problem by following your plan, adjusting as needed. Reflect on your progress and check for new ways to address it. Yes – these are the four steps I shared with you in last week’s blog post, So You Took Keywords Away – Now What? These four steps, immortalized by George Polya in How to Solve It, are the same steps for solving mathematical problems. It turns out that these steps find utility in all of life for beyond math class! And, interestingly enough, we were encouraged to move back and forth among the steps, reflecting upon and revising our plans from one week to the next. 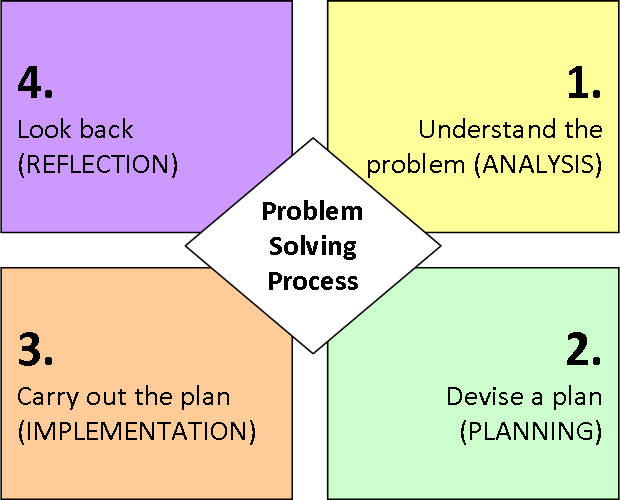 Fast forward to today…I had some great conversations with several of you last week after sharing the problem solving template I use (click here to download again). One such conversation centered on the notion that Polya’s problem solving steps are not isolated, sequential steps. Rather, they are stages in a process that is both fluid and flexible. UNDERSTAND the Problem: This step has two parts. And you’ll likely revisit this step several times throughout the process as a way to monitor and adjust your progress. Understand the Story: Read the problem for understanding. Cover up the question at first, and relate to the context. Who is the problem about? What is happening? Where is it going? What story is being told? Understand the Question: Read the question to discover where the story goes next. What is being asked? Given this direction, what information in the story is useful? What are the quantitative relationships that emerge based on what the question is asking? PLAN a Course of Action: As with the Understand stage you’ll likely revisit your plan several times throughout the solution process, revising it as needed. Therefore, although you may be tempted to create a definitive plan, it’s likely that you will benefit more by coming up with something loose that you can revise as you go. The more flexible you are with your plan, the more likely you will be able to engage with the problem realistically, especially if you get stuck or need to back-track a bit. And remember that good plans includes both thinking strategies and a representations (see last week’s post for more on this). SOLVE by Implementing Your Plan: You’ll want to be flexible and fluid during this step of the process! Dive right in, knowing that you’ll be revisiting the Understand and Plan stages a few times to ensure that you’re on the right track. It’s okay to revise your plan once you gain new insights and notice new nuances within the problem itself. CHECK Your Solution and Reflect on Its Accuracy: This stage is so much more than using inverse operations to check for arithmetic accuracy. Did you really understand the address the original question? Does the solution match the original context? Does it answer the question? Did the plan work? Did both the thinking strategies and the representations help get to an accurate solution? Was the solution process messy or elegant? Might there have been a different plan that may have been more efficient or revealing? Does the final solution make sense? Does your solution need tweaking? Do you need to go back refine your process a bit more? As you can see, problem solving is not at all linear, with siloed steps that happen in isolation. But, rather, problem solving is both fluid and flexible, allowing for movement in all directions throughout the process. 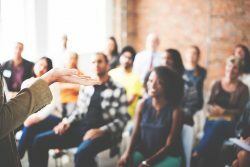 Just as with real-life problems such as weight loss, job searches, or financial decision-making, moving back-and-forth among these steps allows you dive in, refine your understanding, revise your process. And even when you get to the check/reflection stage, you’re not necessarily finished. Let us know what you think – we would love to hear your stories! Do you have any real-life examples of when this problem-solving process could be helpful? 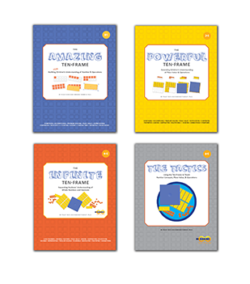 Have you had the chance to see students engage with problem solving that revealed flexibility and fluidity? 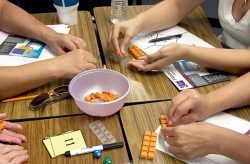 PS – Beyond Math Blocks Teacher Institute is just around the corner – October 25-26 in Phoenix, AZ. My colleagues and I are super-excited about what we have in store for you. Have you signed up yet???? Click here to learn more. 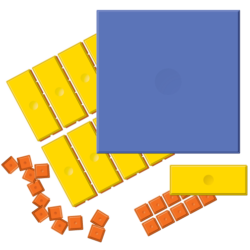 PPS – Check out Peggy’s latest Beyond Base-Ten Blocks: A Search for a Better Solution journal entry and learn more about how base ten blocks may be problematic as manipulatives representing number and operations in our elementary classrooms. Kim, I love the the discussion here! I think one place we see this process in real life is in counseling (family, marriage, grief, etc.). The counselor typically walks the client through understanding the situation/problem, in order to plan an appropriate response. The client implements that plan in order to solve the problem faced, and then checks back and reflects upon how that plan worked. As you noted, this process is fluid in counseling as well as in math class. Another place we see this is in business restructuring. Often times businesses need to restructure how they do business (like when PayPal and eBay broke up into two entities). The process a business goes through is often characterized by the following process 1) understanding the current reality/current structures and operations and understanding the problems that exist. 2) Planning ways to improve the business functioning with new structures and operations, 3) Implementing that plan to solve the problems identified with the current structures, and 4) checking back to determine how the plan has caused the business to progress, as well as determining what refinements are still necessary. Thanks, Melissa! You’re so right-on with these examples! Solving real-life problems can be messy work, and we often need to reflect upon and revise our plans multiple times before we come up with a just-right solution. So it is with math. However, far too often, we inadvertently lead students to think that solving math problems should be simple. Thank you for all you do!! !